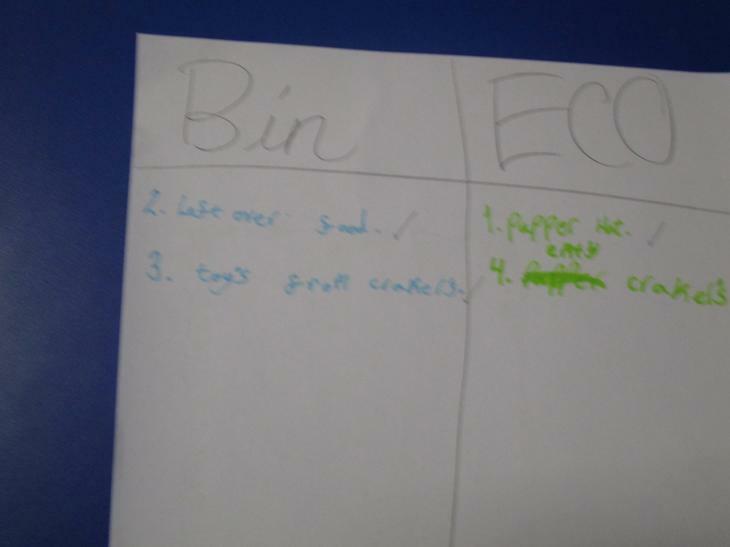 At Eco club we do many fun activities to teach the children about how to look after our planet. 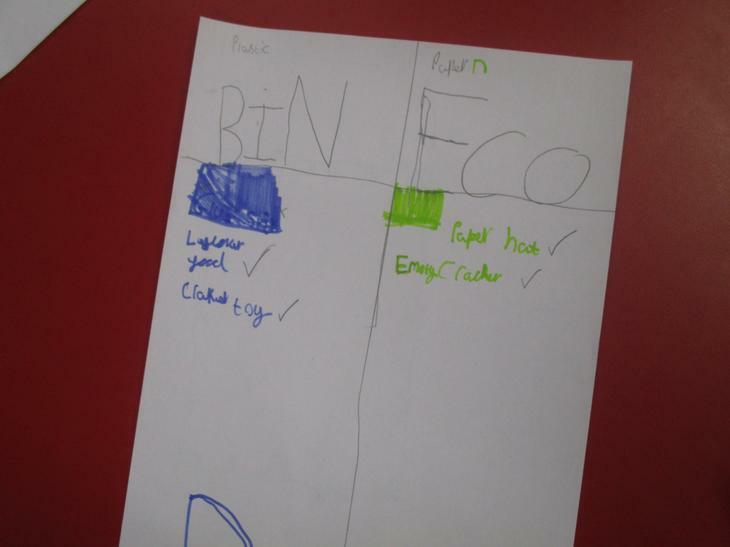 Our motto is Reduce, Reuse, Recycle so that we can have a happy healthy school. 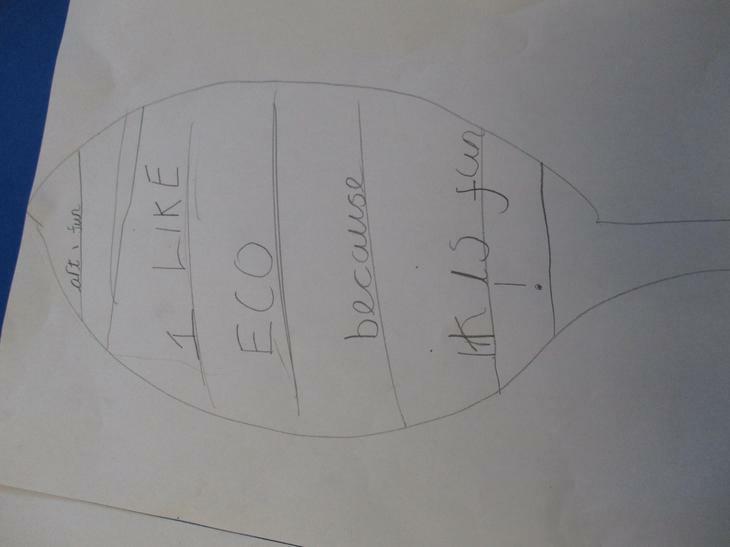 "I like Eco club because we can learn how to save the world and not litter." 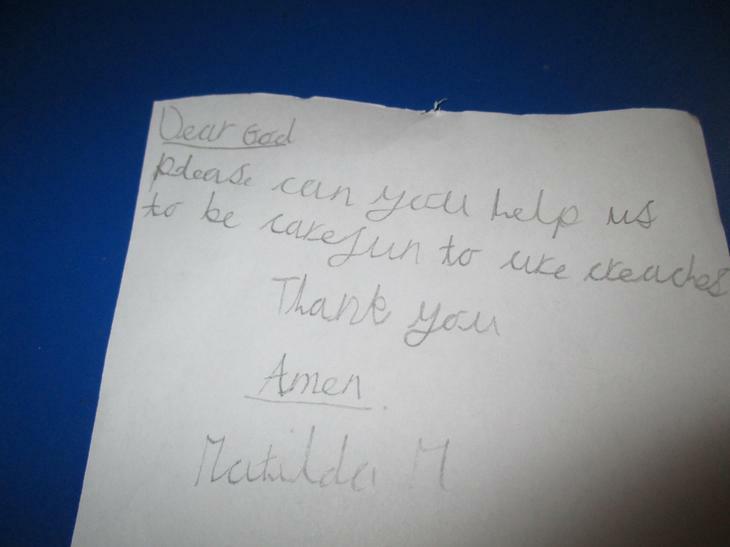 Lizzie, Year 3. 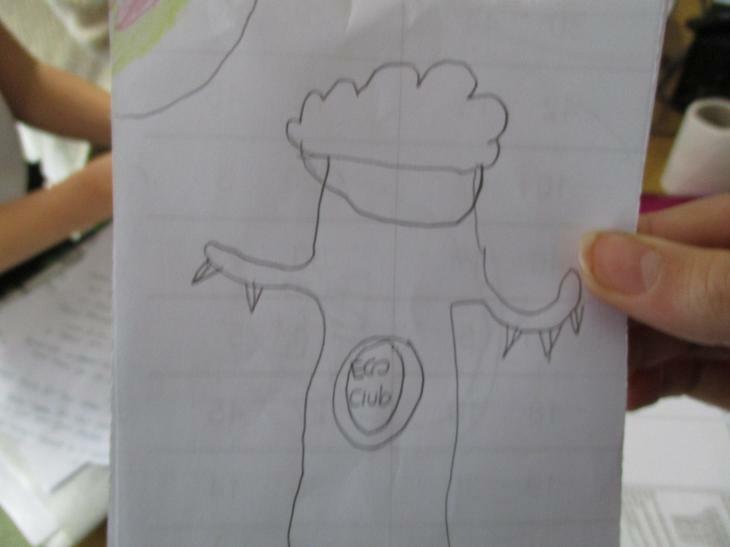 "I love Eco club, it's very crafty and fun. 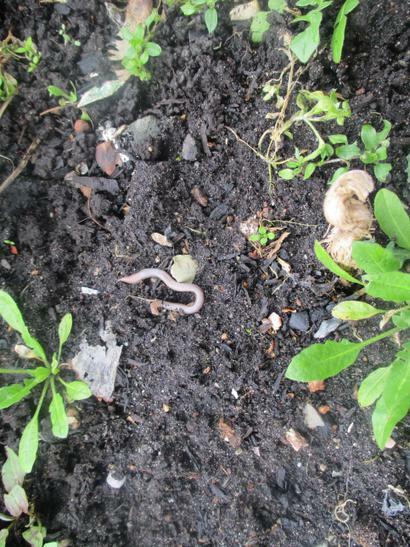 We get to know things that we've never learnt before." 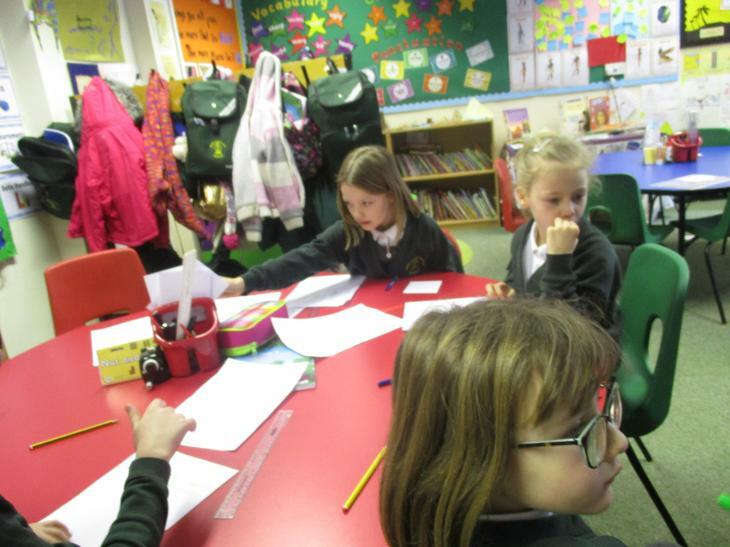 Daisy and Matilda, Year 2. 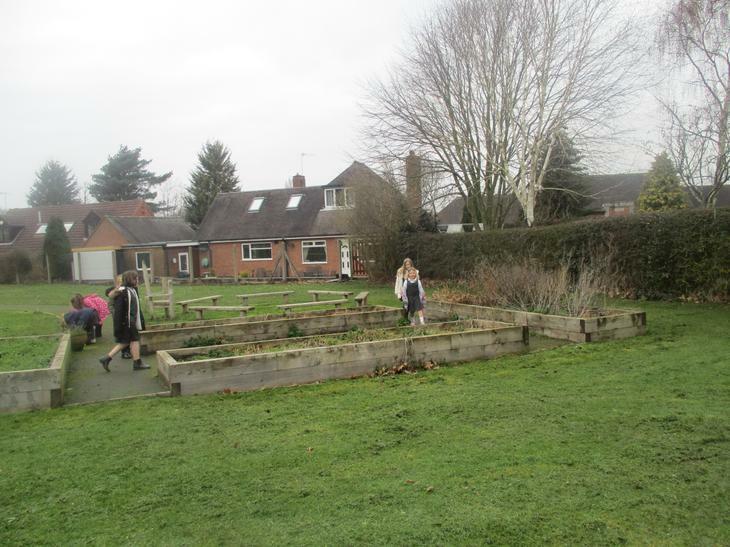 Today in Eco club we went out into the garden to do a retrieval task. 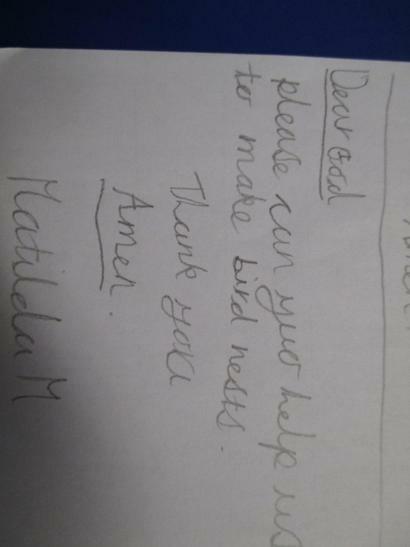 We were surprised to see a pheasant in the garden. 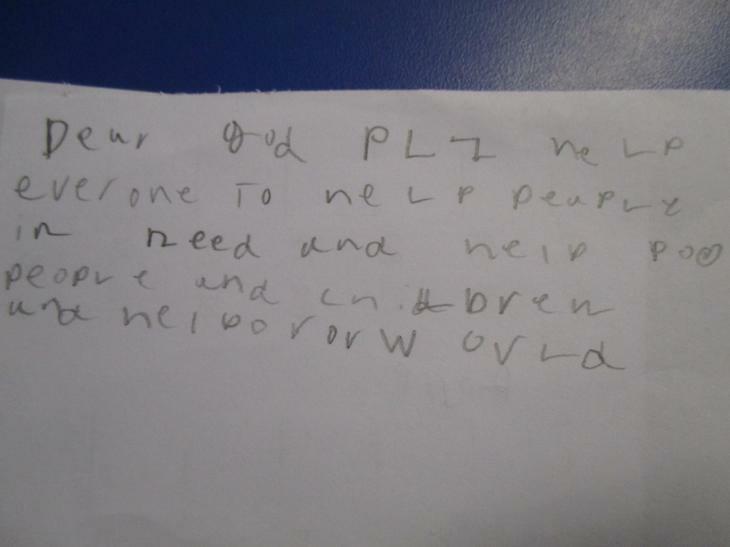 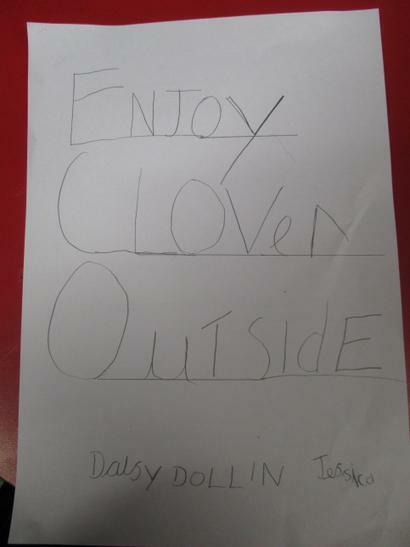 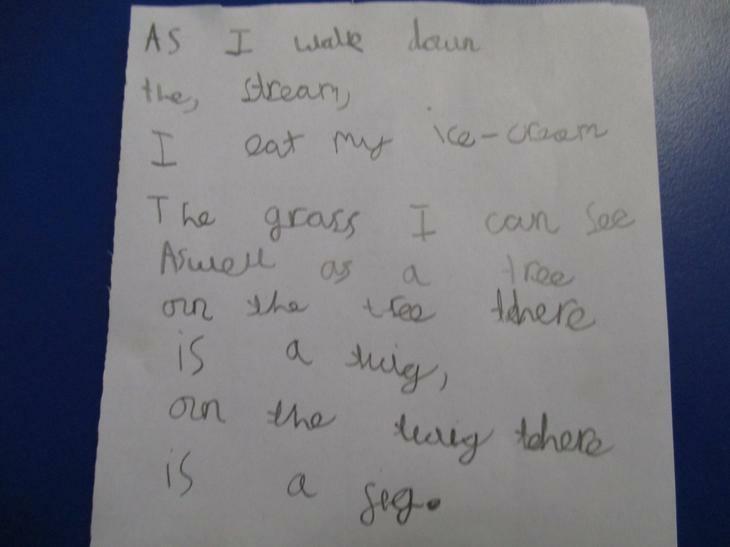 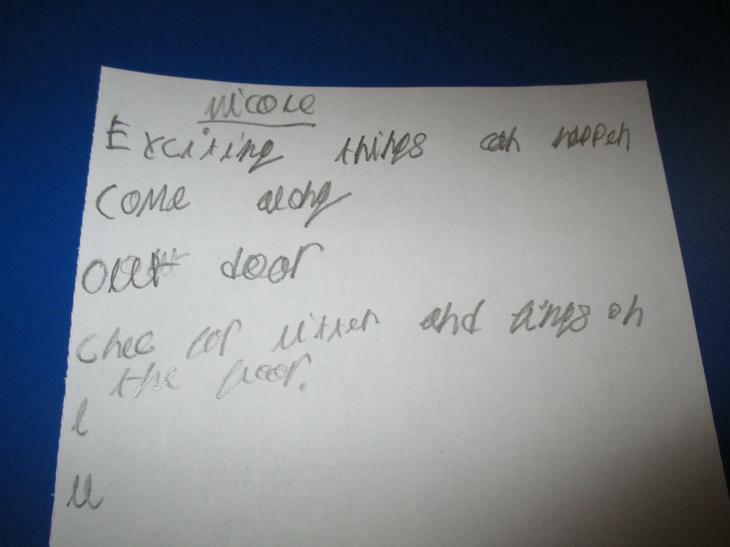 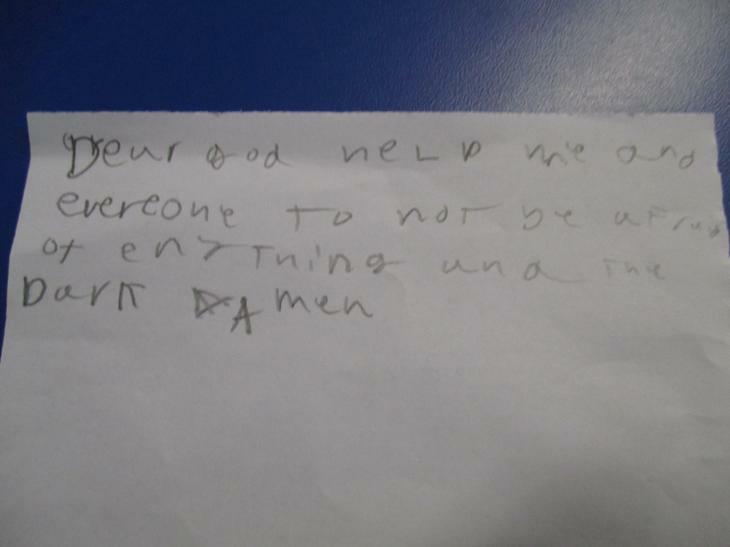 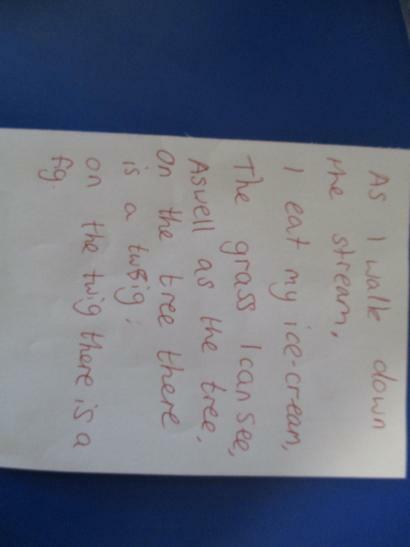 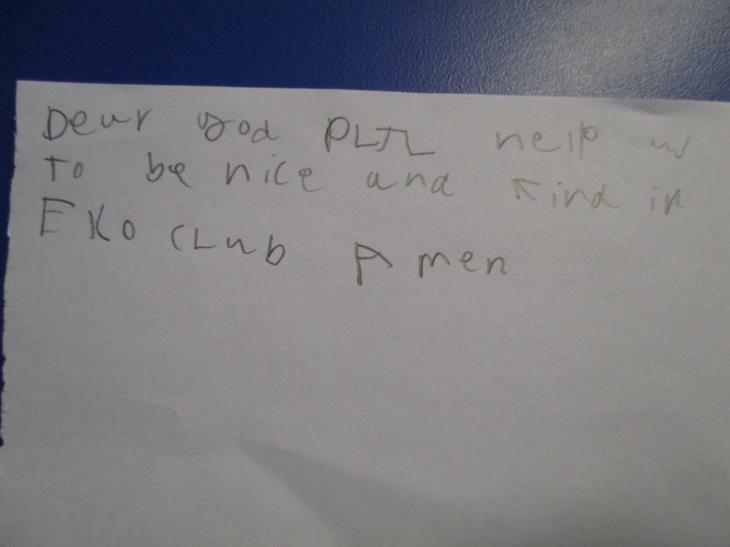 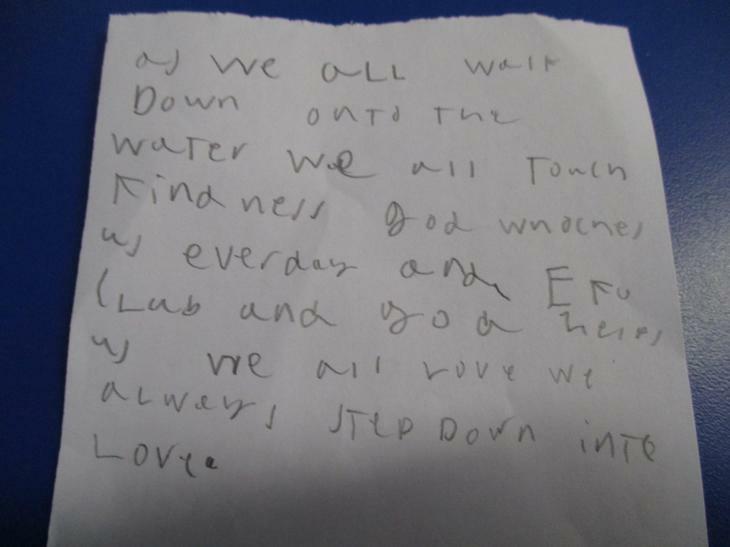 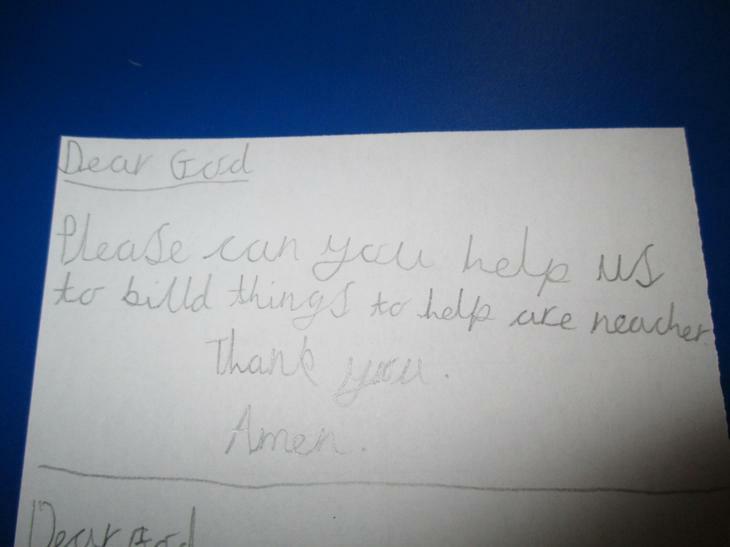 The children were given a list of items to find such as a leaf, flower and twig. 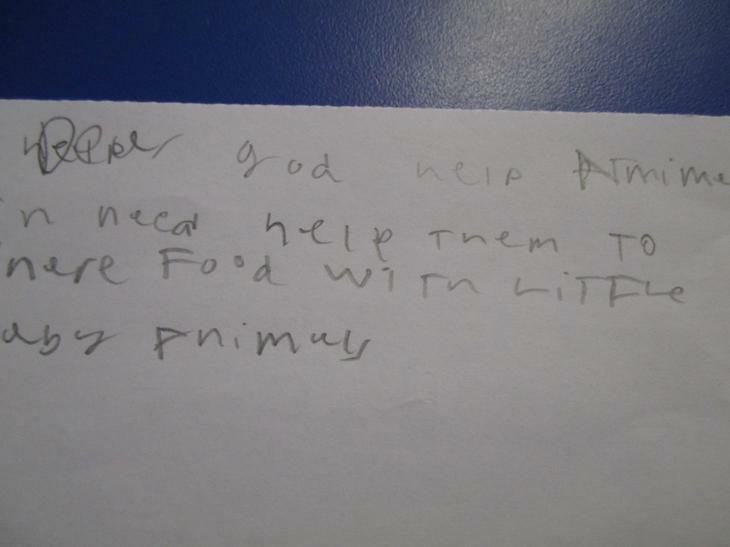 They were also asked to find an insect. 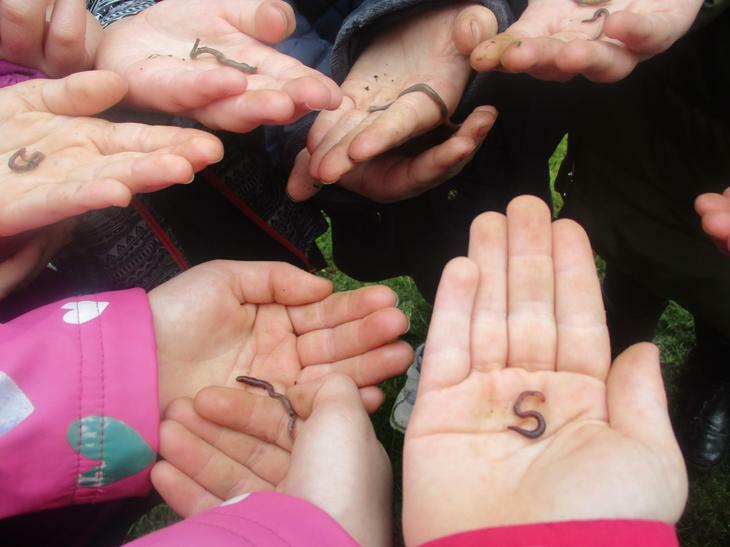 They managed to find lots of worms. 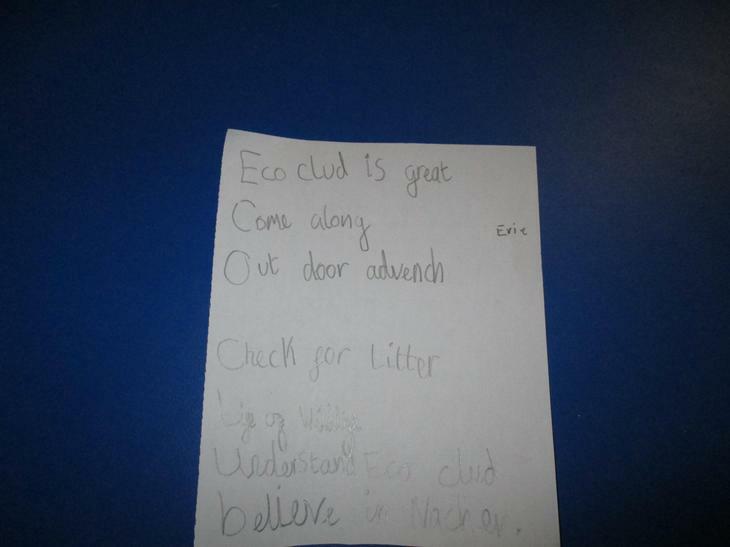 This week in Eco club, we have continued to work on a verse of our ECO song. 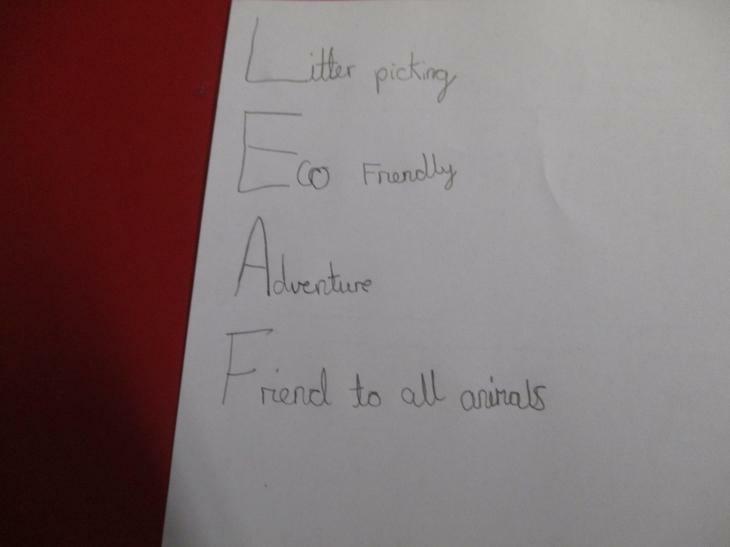 The children were asked to think of words and ideas that are friendly to the environment and we have been trying to use those in our song. 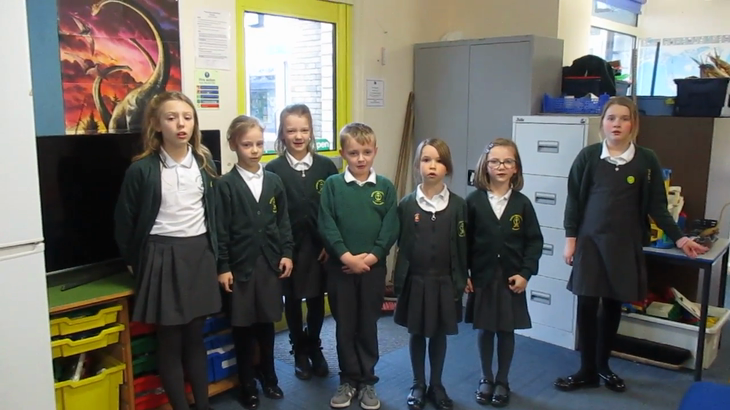 This week in Eco Club we have been working together to write the chorus to our own eco song using the music to Rewrite the Stars from the Greatest Showman. 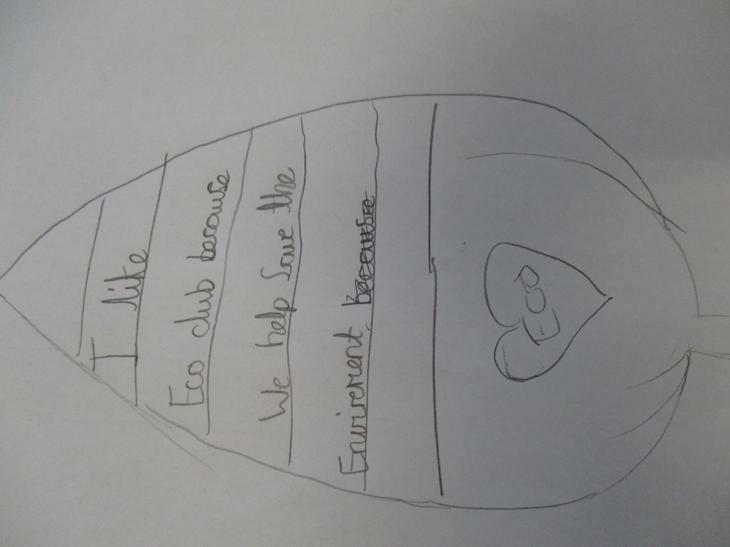 So far we have created the chorus for our Eco Club song. 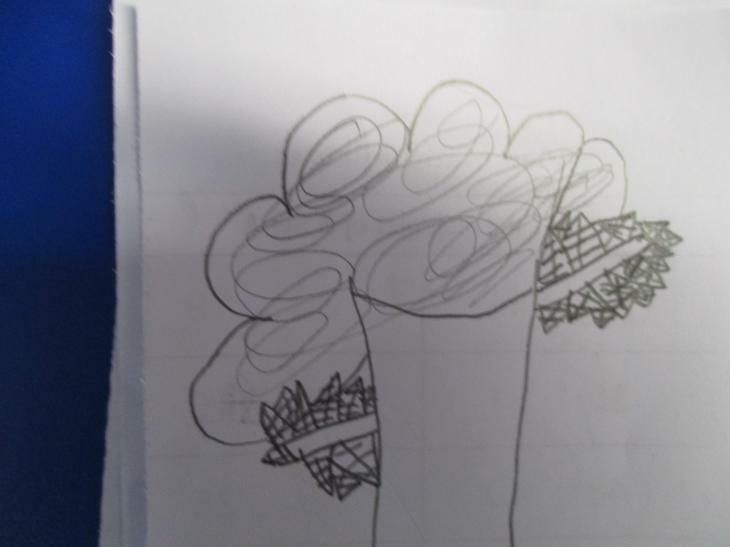 Click the link to have a listen. 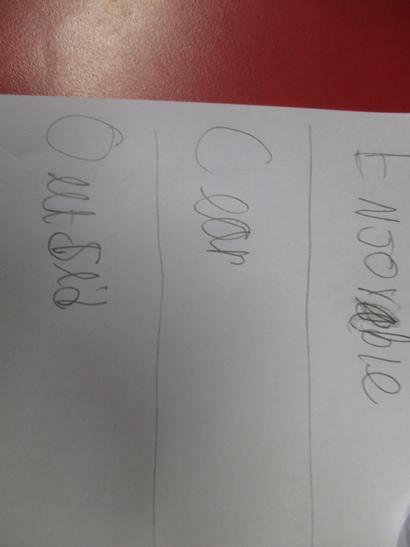 For our first week back after the Christmas holidays, we thought abut words that are Eco or Eco friendly and then we made acrostic poems with them. 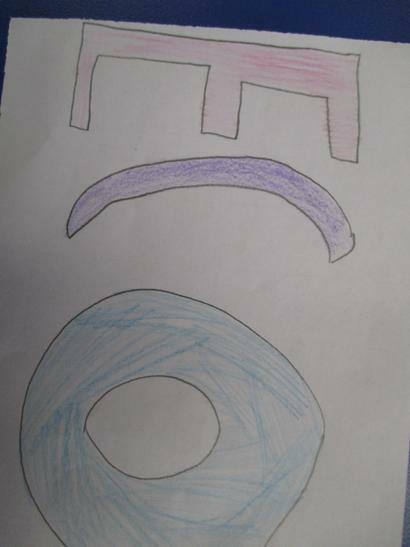 We talked for a while about some tricky letters to match words with. 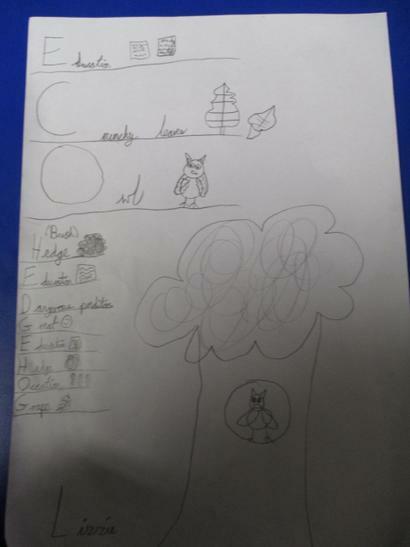 They were amazing!. 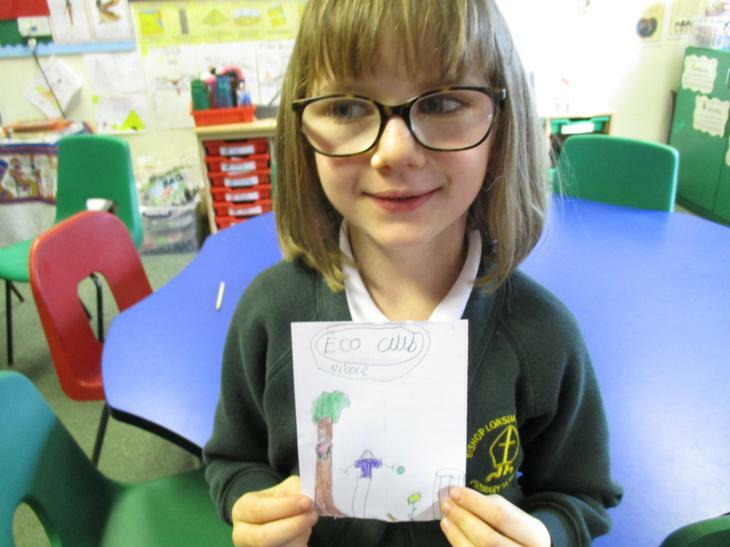 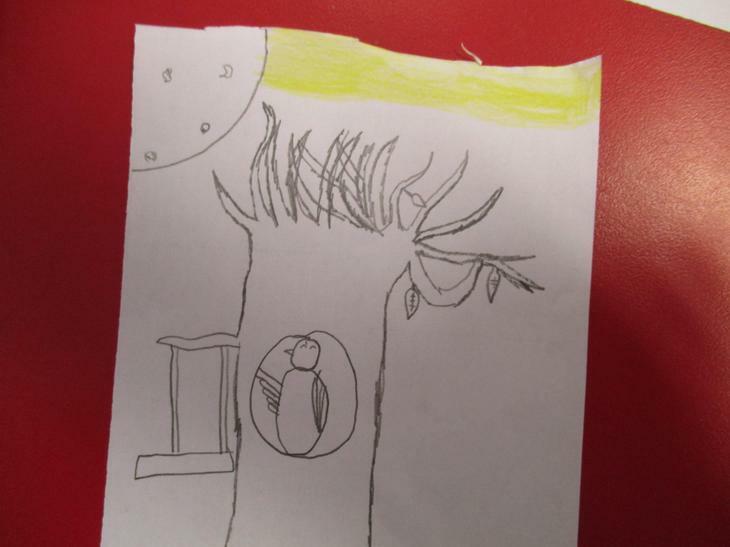 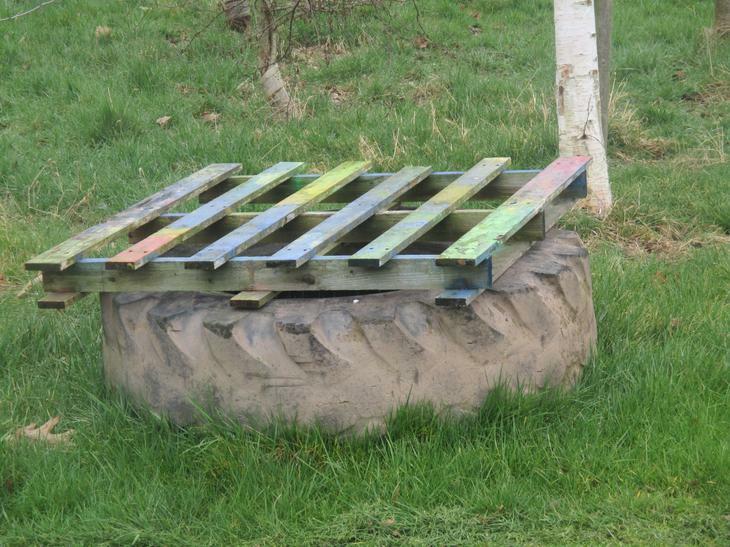 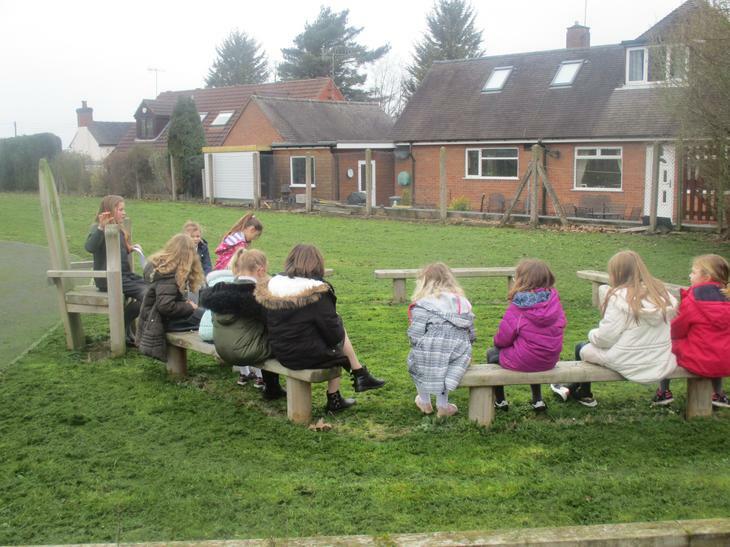 Scarlett said, "I loved the group chat that we had - ECO club is amazing!" 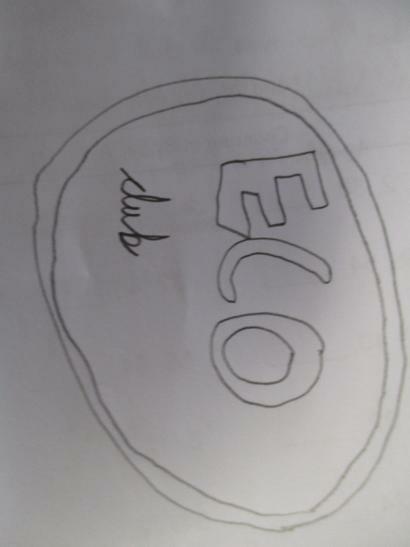 Jai said, "Eco club is great!" 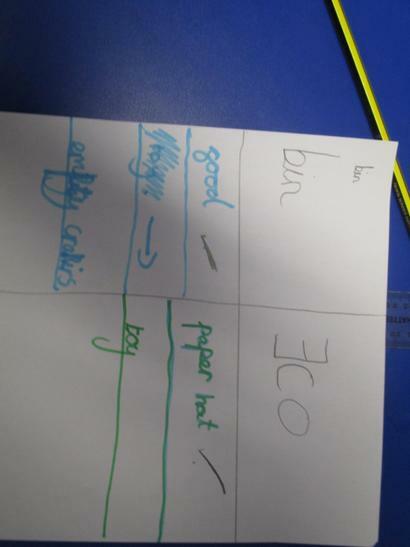 Nicole Said, "Eco is exciting, we do lots of fun things." 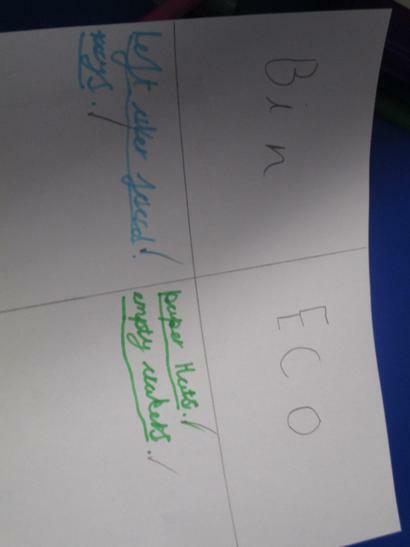 Today we have talked about how Christmas is linked to Eco. 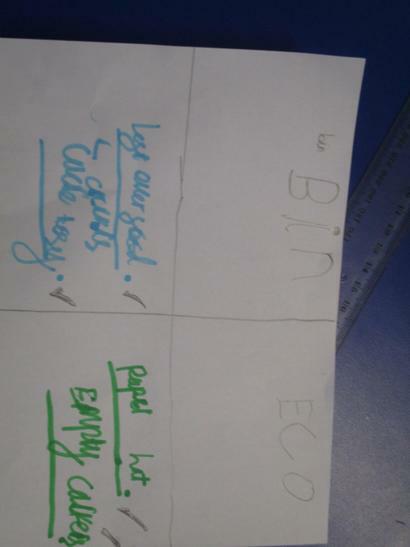 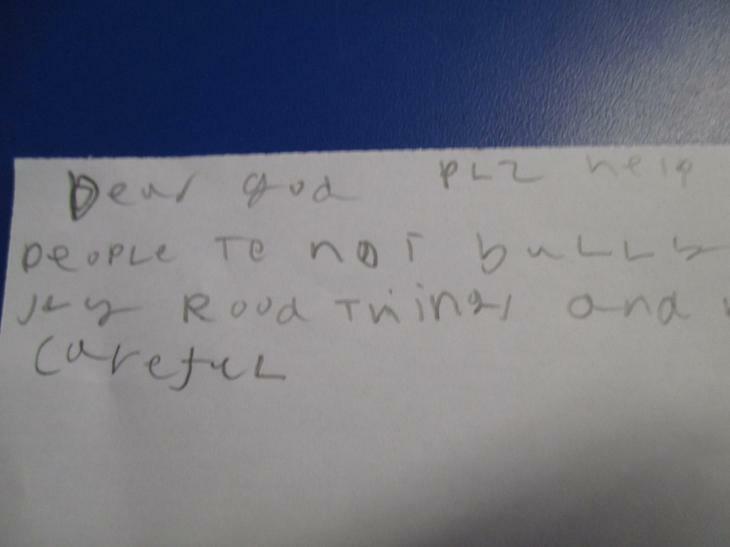 We split some scrap paper in half and wrote 'blue bin' and 'Eco bin'. 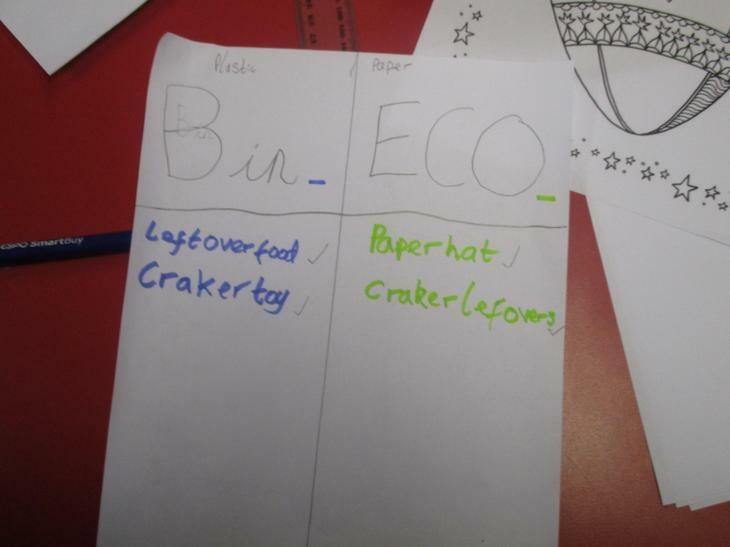 We then quizzed the children about the different types of rubbish we have at Christmas and which bin they would go in. 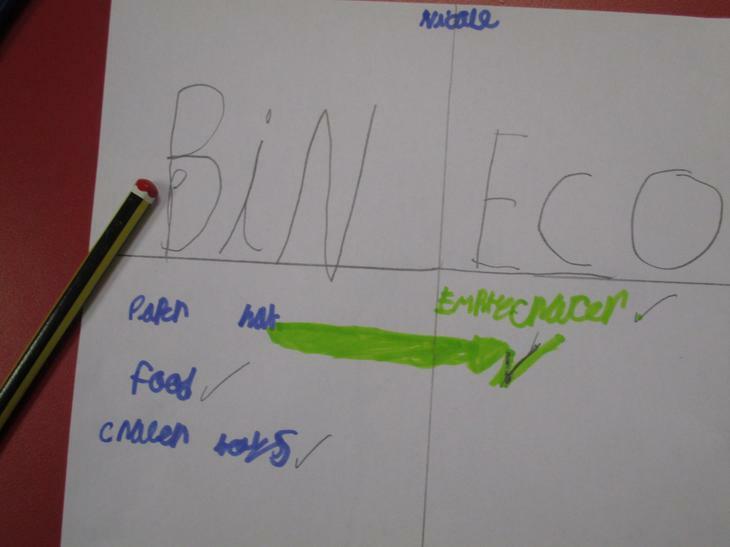 For example used Christmas crackers would go in the 'Eco bin', leftover food would go in the 'blue bin'. 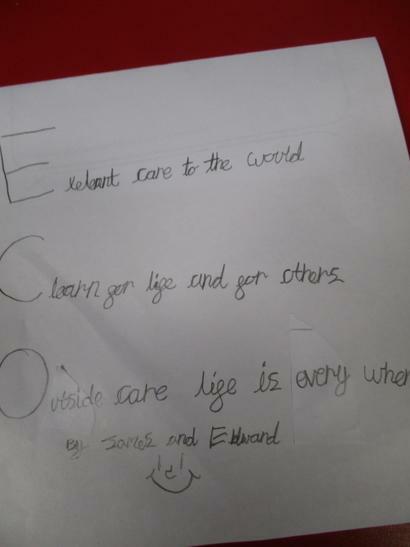 Today in Eco club we did a carousel of activities where we could write an acrostic poem about Eco Club, a prayer or draw a picture. 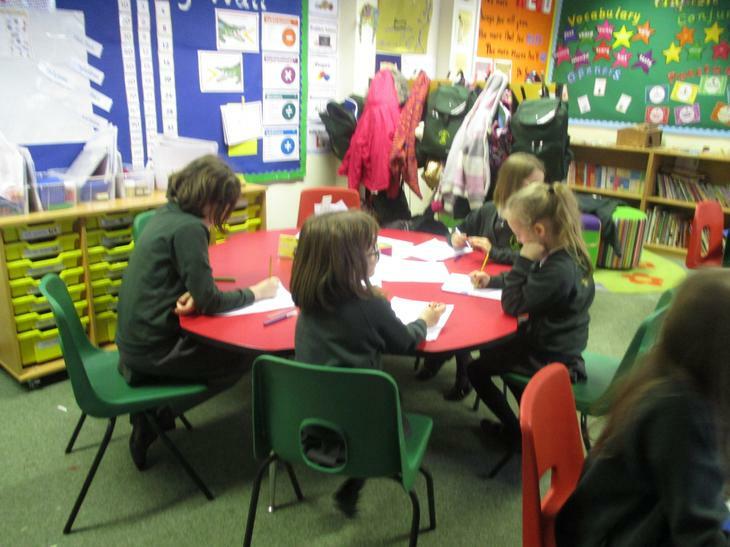 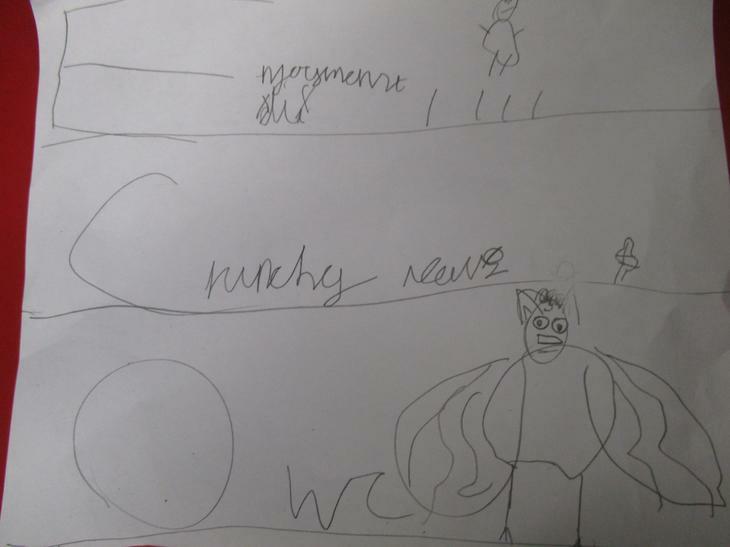 We had lots of super work completed. 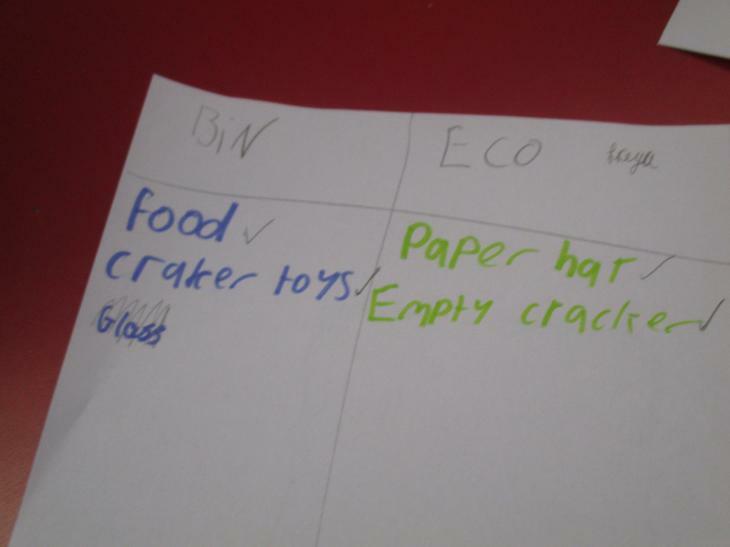 This week due to the horrible weather we have been inside so we decided to empty the recycling bins to make some paper crafts. 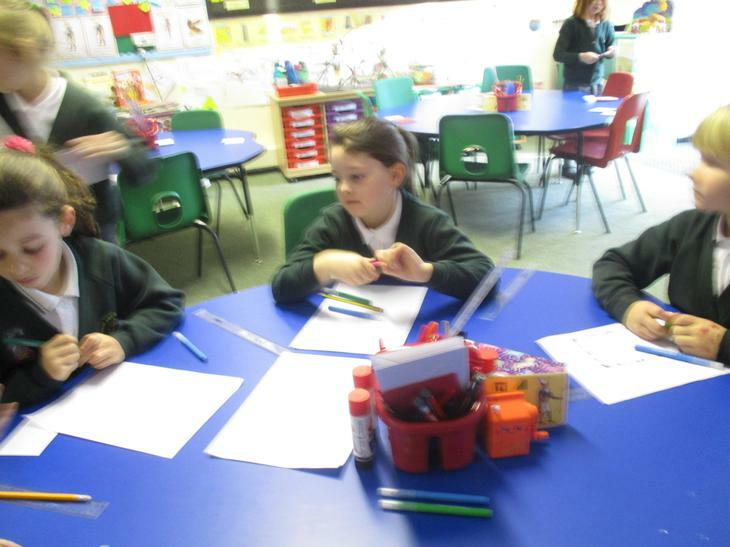 We made paper chains, snowflakes and paper springs. 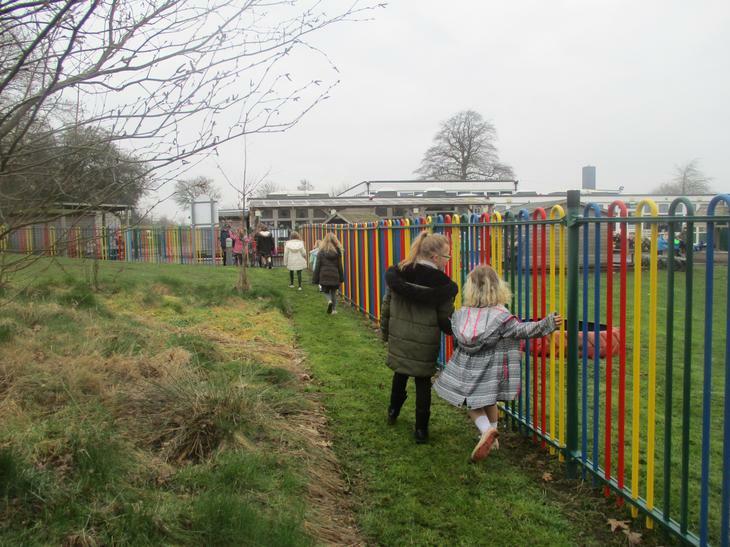 For our first group meeting we decided to go out and about around the school grounds to collect sticks. 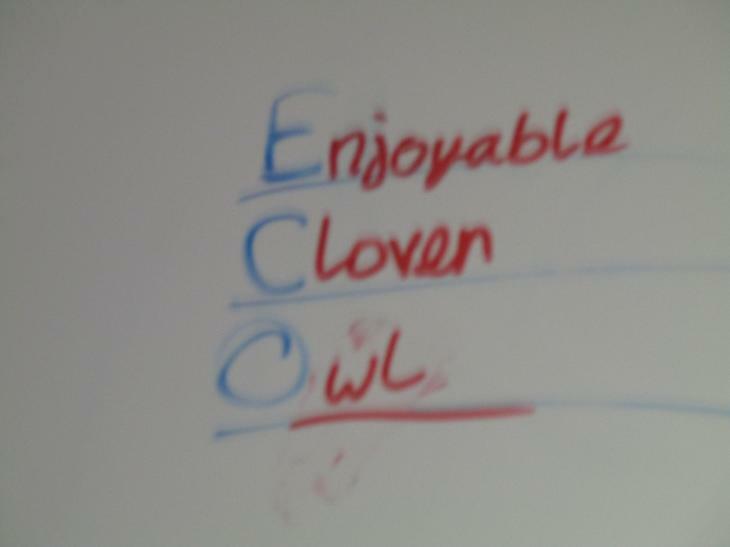 The following week we used the sticks to make either nest or eco club signs. 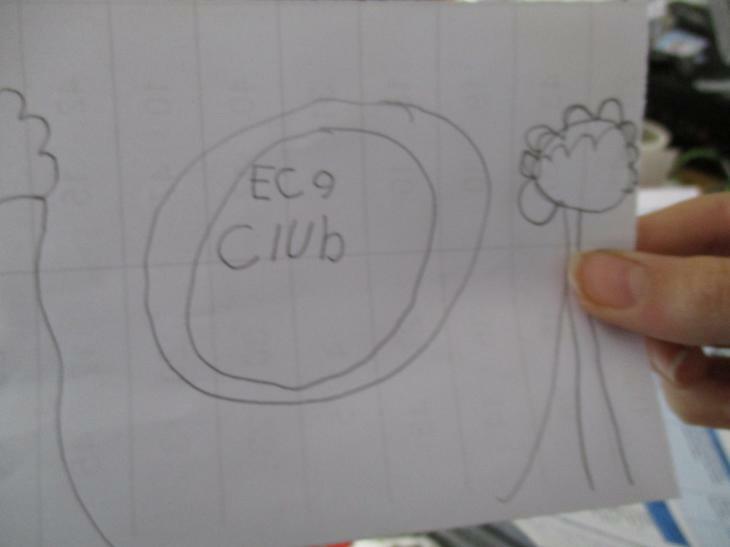 Our Eco Club sign made from sticks and leaves.